McCulloch England Associates Architects began working with Maria Parham Hospital in 2007. Since, the firm has been involved on an ongoing basis with renovation and expansion projects at Maria Parham Hospital. The expansion and renovation to the existing Oncology Department replaces the original suite. 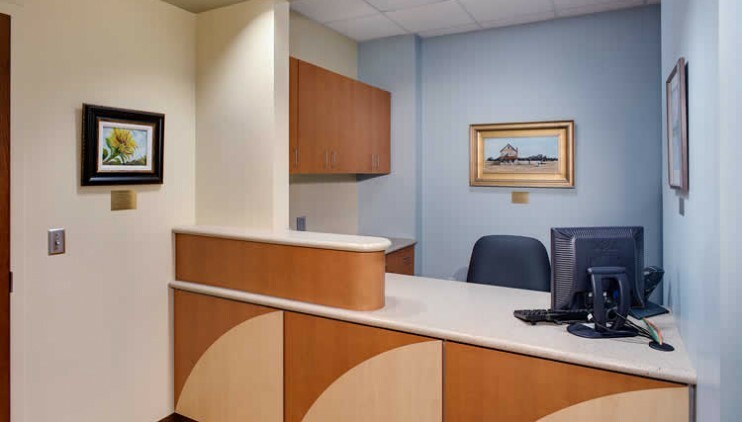 The project provided much-needed patient treatment and exam space, along with office, support and waiting areas. The concept for the main treatment area was to provide a warm comfortable space with plenty of interior room while providing a view to a new integrated exterior courtyard accessible to the patients only.